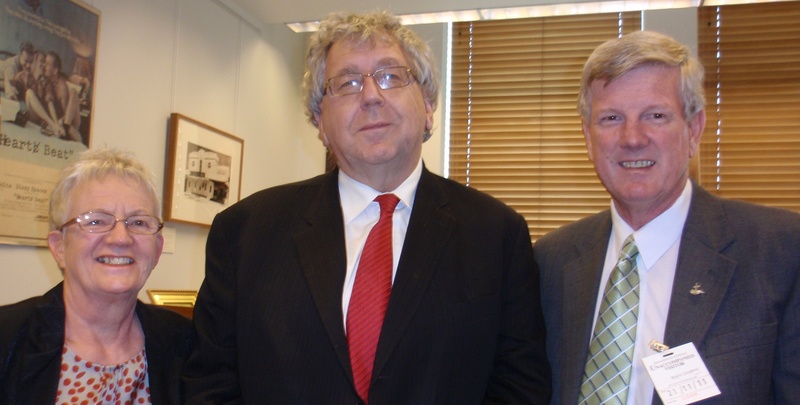 In the week of the 21 November 2011, APAN delegates met with 26 Federal Parliamentarians and their staff, as well as representatives from Government Departments and other organisations. We met with politicians across the political spectrum. We were encouraged both by the level of understanding about the suffering of Palestinians, and the need for strong international pressure on Israel to comply with International law. APAN delegates meet with Labor MP Laurie Ferguson. From left: Wendy Turner; Laurie Ferguson MP, Rev Gregor Henderson. 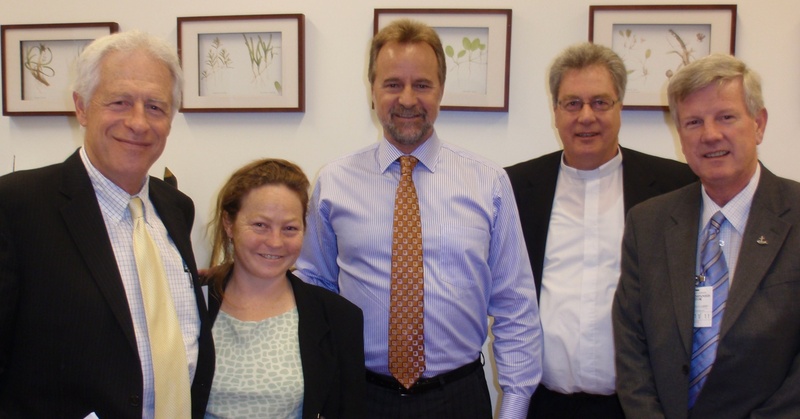 APAN delegates meet with CLP Senator The Hon Nigel Scullion. 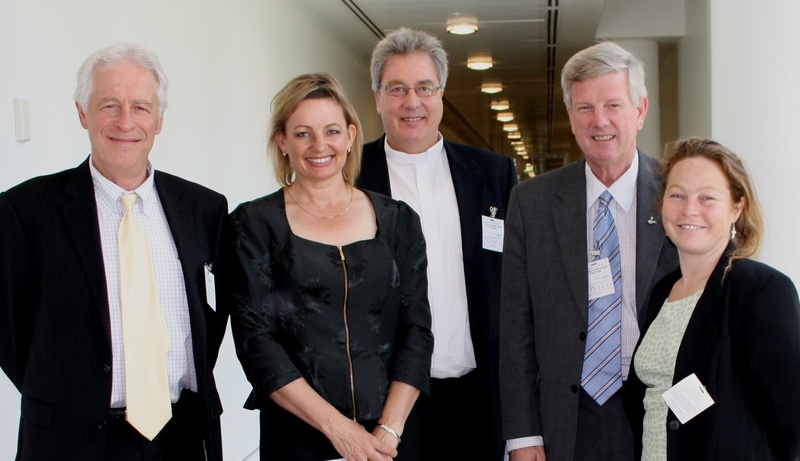 From left: A/Prof Peter Slezak, Ms Jessica Morrison, Senator Scullion, Rev Jim Barr, Rev Gregor Henderson. The APAN delegation indicated that there is an urgent need for Australia to be more balanced in its policy towards Palestine and Israel if we want to see a just resolution to the conflict. We questioned the current policy of both major parties for a return to bi-lateral negotiations, suggesting that this is akin for asking the Biblical David to sit down and negotiate with Goliath (in fact two Goliaths if we factor in the USA). We suggested that negotiations need to be multilateral, and in a context where Israel are accountable for their actions. APAN urged Parliamentarians to see that the excesses of Israel are met with condemnation from the Australian Parliament; to support the Palestinian’s UN bid for recognition of Statehood; and to visit Palestine. APAN looks forward to an ongoing engagement with our elected representatives, and hopes to see clear shifts in foreign policy to acknowledge the perspective of Palestine.